With a hit of spice from wasabi and sriracha, this Bloody Mary cocktail recipe certainly isn't for the faint-hearted! A delicious kick to set you up for the day from the chefs at The Gorgeous Kitchen. The foodie minds behind the menu of Heathrow's The Gorgeous Kitchen restaurant have come up with some fantastic variations on the traditional Bloody Mary cocktail, to help kick start your day, and your travels. 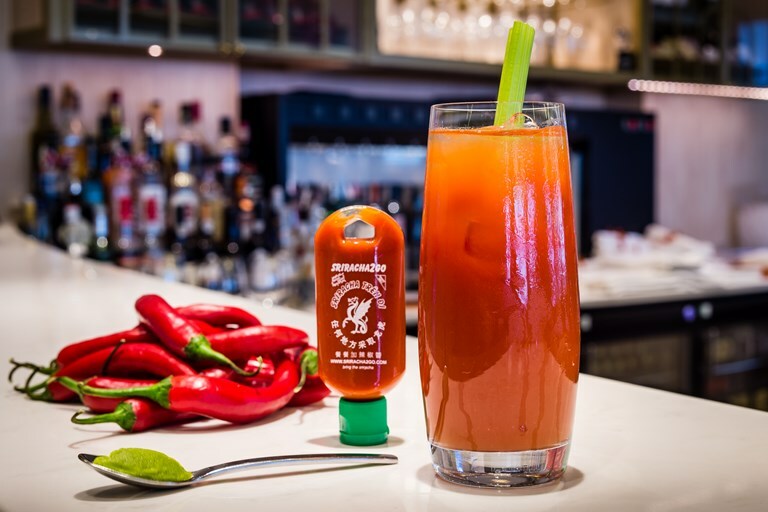 Every Bloody Mary should have some heat, but we’ve added a bit more with our Asian Bloody Mary! Here the kick comes from the addition of sriracha and some wasabi – these ingredients are not so overpowering here that they take away from the refreshing drink, but we think they’re a great alternative to the usual spice.